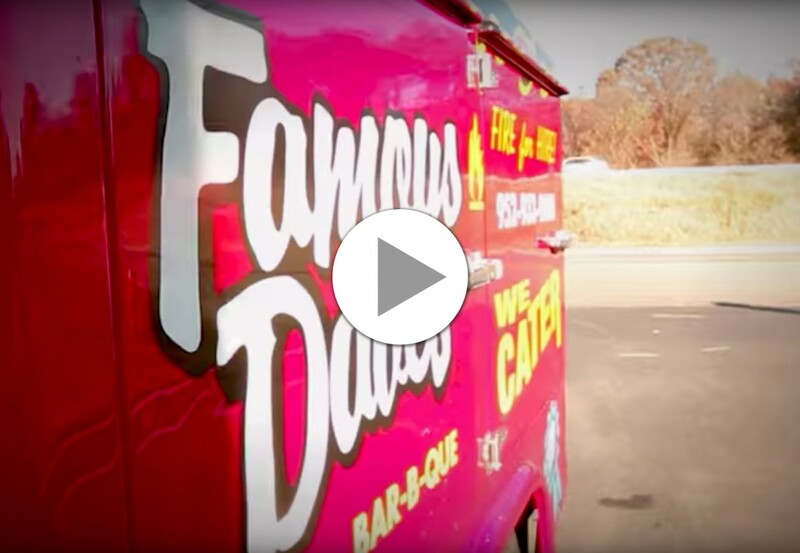 Choose Famous Dave’s DMV’s Award-Winning BBQ to Cater Your Next Event! Slow Smoked Ribs, Country-Roasted Chicken, and Sides made from scratch that your group will love. 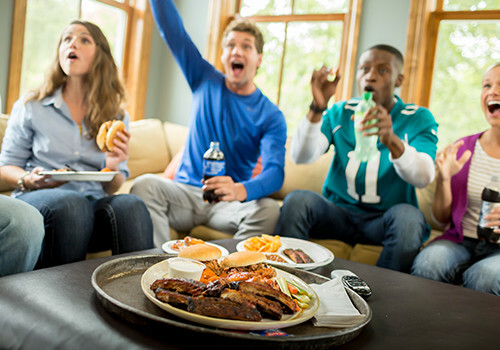 When it comes to feeding a group for a great price, Famous Dave’s is your answer! Each of our authentic Southern dishes, sides, and desserts satisfy even the pickiest of eaters’ requirements. 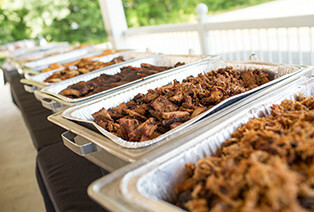 Before your event, take a look at our menu that includes Slow-Smoked Ribs, Country-Roasted Chicken, Texas Beef Brisket, and Georgia Chopped Pork, as well as a whole slew of sides, salads, desserts, and even vegetarian options. Our Pitmasters will pack up all the fixins, cold drinks, and place settings you and your guests will need. 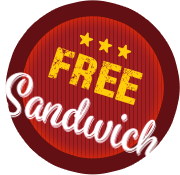 When you choose Famous Dave’s DMV locations to cater your next event, you get a ton of amazing BBQ food at a great price that will leave your guests raving! Schedule to pick up your order at your nearest location. One of our To Go specialists will be happy to load it into your car. Our staff will bring the food and set everything up in a buffet line. Available for catering orders over $150. Our highly-trained team will bring your food, set up the buffet line, serve your guests and clean up, leaving you more time to spend relaxing with your guests. Available for catering orders over $150. 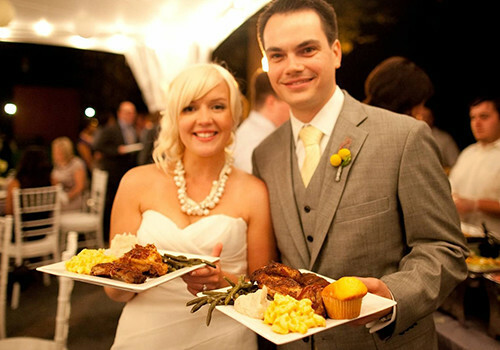 Full-Service BBQ Catering for Parties, Corporate Events, Weddings, and More! At Famous Dave's, we have professional catering options for any event, size, or location. 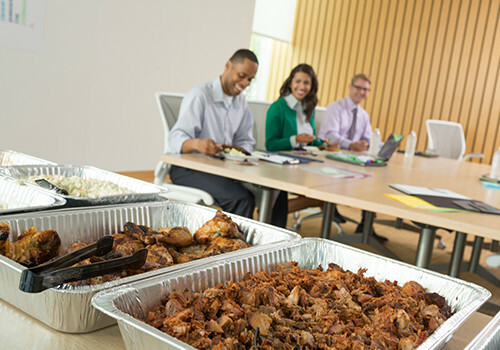 No matter what your event is for, we serve up authentic Southern-style BBQ catering options that will please the whole group! Our indoor/outdoor catering menu includes our meats, which are smoked up to 14 hours over real hickory wood, as well as scratch-made sides and delicious desserts that will have your guests asking who your caterer is! If your event is small, large, formal, or casual, Famous Dave's award-winning catering can create a perfect menu for your guests. Our temperature-controlled trucks deliver your catering to parties of 10 or more, and we’re happy to simply drop it off or stick around for a full-service buffet. When you choose to have us serve your guests, we cater, serve, and clean up! 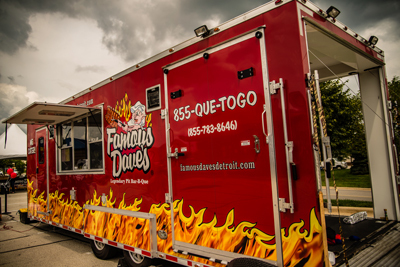 When planning your next corporate event, wedding, graduation party, dinner party, church picnic, or any other event, consider the awesome experience that BBQ can bring, and call Famous Dave's! BBQ goes great with all kinds of events! Everyone loves BBQ, so why not bring it to your next gathering? 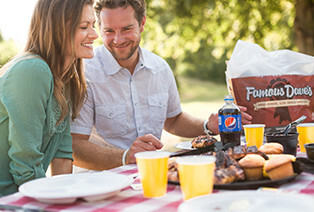 Famous Dave's menu is perfect for any party, inside or outdoors! 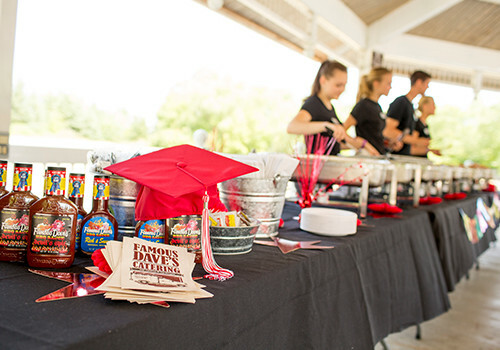 Click the links below to learn how Famous Dave's BBQ catering can make your next event fun, cost-effective, and hassle-free!